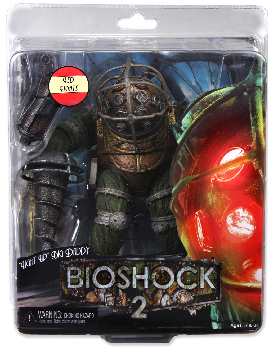 Description Of Item: BIOSHOCK BIG DADDY BOUNCER ULTRA DLX LED FIG BIOSHOCK BIG DADDY BOUNCER ULTRA DLX LED FIG. The icon of the highly successful Bioshock franchise gets an upgrade. The Big Daddy Bouncer is now electronic and features light up eye ports on his head.